"�������� ����������� ����������� ���������� �������"
Universite Libre de Bruxelles, Campus du Solbosch, Building S (Sociologie, 1st floor), Av. Jeanne 44, 1050 Brussels. 2008. 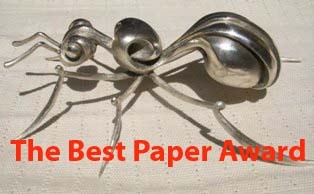 "Marco Dorigo and Thomas Stutzle impressively demonstrate that the importance of ant behavior reaches far beyond the sociobiological domain. 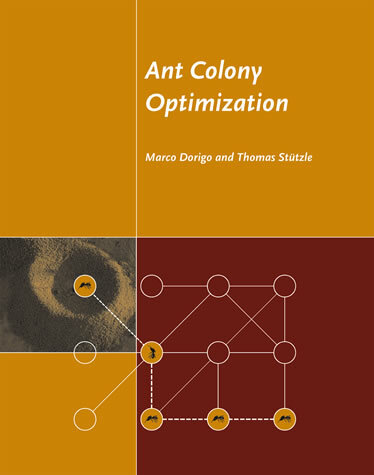 Ant Colony Optimization presents the most successful algorithmic techniques to be developed on the basis on ant behavior. This book will certainly open the gates for new experimental work on decision making, division of labor, and communication; moreover, it will also inspire all those studying patterns of self-organization."